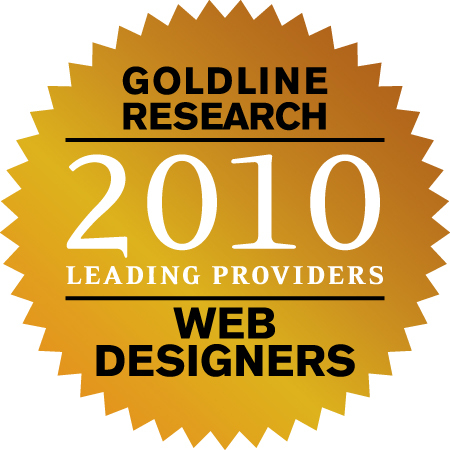 Spherexx.com has been chosen by Goldline Research to receive its Web Designer Leading Provider certification for a fourth consecutive year. Goldline Research bases its selections on seven areas of exhaustive research to determine top service professionals throughout the United States. The published research results are available at http://www.leadingproviders.com along with Spherexx.com's company profile, location information and list of services. See Goldline's overview at http://www.youtube.com/watch?v=CnjjC5W-NB0. Spherexx.com has offices in Tulsa, Dallas, and Houston. Established in 2000, Spherexx.com is also celebrating its tenth year as a marketing technology company that specializes in using marketing on the Internet to boost a client's image and sales. The company maintains a national footprint, serving the multifamily housing, real estate, financial services and healthcare industries. Distinguished management and real estate developers such as Trammell Crow, Lincoln Property Company, Riverstone Residential, Greystar, and Zom Residential Services have relied on Spherexx.com for a decade to provide income-generating websites, software integrations, marketing tools, CRM (customer relationship management) products, and branding services. "A web site is the only place where you can tell your whole story," says Spherexx.com's President and CEO, Becca Wilson. "Statistics show that over 80 percent of apartment searches occur online. We have created Apple iPhone and mobile web site versions to meet the growing demand for mobile apartment searches. The website automatically detects when it is accessed by the iPhone/smart phone. Prospects can now reserve an apartment and residents can pay their rent via iPhone/smart phone. Mobile web sites are only one way we are advancing the way customers do business online. With 47 million housing searches occurring monthly, it's critical to keep our clients equipped with sophisticated Internet marketing tools." It is such advanced Internet marketing technology and customer service that has set Spherexx.com apart by Goldline's Leading Provider criteria. Additionally, Spherexx.com has developed leasing and marketing software applications for the apartment industry. http://www.GotNoVacancy.com ™ is a prospect engagement and sales CRM for the apartment industry that creates a comprehensive product showcase, tracks advertising sources, guides users from first contact to close, and enables supervisors to analyze performance and project traffic patterns. Another SaaS (software as a service) provided by Spherexx.com is http://www.MarketSurveyTools.com. ™ This program eliminates spreadsheet survey data which is easily lost and corrupted. The program permanently secures competitive surveys, benchmarks historical data and generates presentation ready market analysis reporting. http://www.MessageKast.com ™ equips advertisers with online publishing tools such as: adkast, an ad creation software that will post advertisements to multiple Internet locations; chatkast for online customer service communication, and ppckast, a pay per click search advertising campaign. For more information visit http://www.Spherexx.com/pages/request-a-quote.asp. Spherexx.com services include web design and development, touch-screen kiosks, Internet lead generation tools, online advertising, apartment leasing consulting, advanced mobile technology, apartment lease-up marketing consulting, and search engine performance. The company provides branding services, video/multimedia production, print media, and copywriting as well as website and email hosting, database solutions, pay per click, e-commerce solutions and custom programming. Spherexx.com represents a collective seventy years of direct, executive level property management experience that readily identifies with the challenges and solutions of multifamily property management professionals. Goldline Research is a leading marketing and information services company. Goldline Research's mission is to empower consumer choice by identifying leading professional services companies. Goldline Research evaluates professional services firms throughout the United States using a rigorous, proprietary research methodology and has helped tens of thousands of consumers find high quality service providers. Founded in 2004, Goldline Research is privately-held and headquartered in Novato, California. For more information, please visit http://www.leadingproviders.com.